my recumbents – Walk … , as if your feet kiss the earth ! 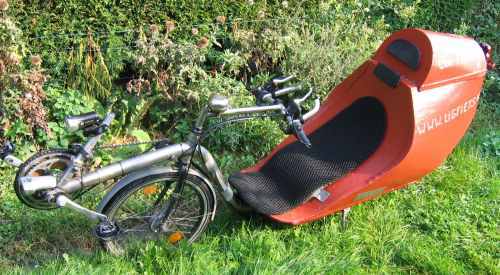 I own a Zephyr – type recumbent. It is made of stainless steel. Originally it is a low-racer, but the way I changed it it became a heavy commuter ! Since october 2007 I also owned Quest 215. I bought it in Dronten, at a very nice bike-workshop called Velomobiel. I like to listen to music while dreaming away on my commute, but I hate the earplugs because I can’t hear the other traffic and my ears get full of that greasy stuff (cerumen)! 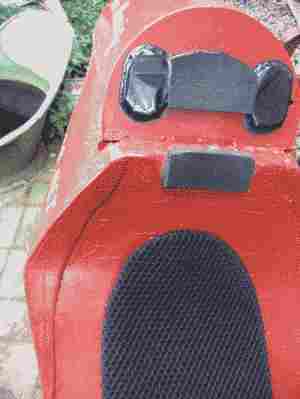 So I bought some cheap speakers and build it on my Zephyr-bike. I am using a simple digital radio now, but I can plug in an Ipod as well (if I had one). For the same reason I use small loudspeakers in my Quest. 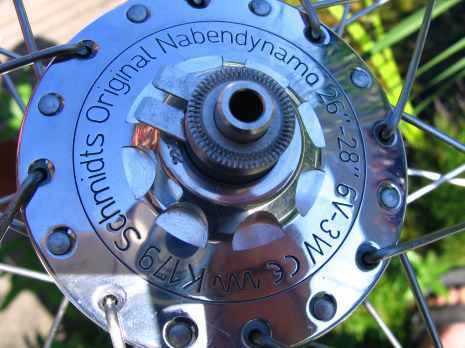 In Juli 2006 I bought a SON– hubdynamo for the Zephyr. It is working fine in combination with the DLumotec Senso Plus . I want to make it work in combination with a battery-pack, in the near future. In wintertime I use my Quest all the time. This machine is designed just for those cold, wet and windy weather conditions ! From the day I cycled this new bike home from Dronten to my hometown Vlissingen (277 kilometers), I regret that I didn’t buy this machine years and years before. It’s a cold comfort that Velomobiel started producing Quests only in 2000. For some photos see this page. 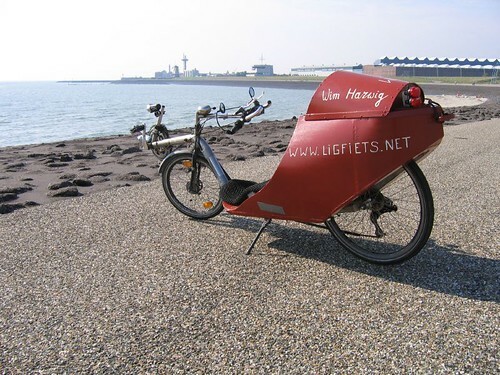 If you like to see some photos of recumbents, click here and some photos of the Bullitt I use for heavy transport are here . I’ll try to build it myself soon.